Finding the right necklace length can be frustrating, especially if you love a particular chain but can only wear it with certain necklines or pendants. Adjustable necklaces are the perfect solution and can help make a more versatile jewelry collection. Below are several types of adjustable necklaces and the pros and cons of each one. The first type of adjustable necklace is the classic chain with extender rings. 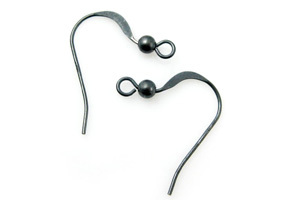 It consists of a thin chain with jump rings located at the 18”, 20”, and 22” point. This type has more cons than pros as it can only adjust to a few fixed lengths. It is also more burdensome to create, therefore more expensive, because it requires 2 inch chain pieces to be soldered or attached with jump rings at each length point. Another con is the extra dangling chain can be an eyesore and easily tangle up. 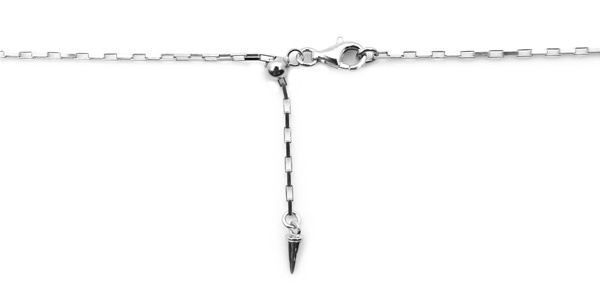 The next type of adjustable necklace is the necklace with extender chain. 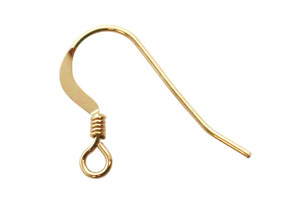 This is a regular necklace chain with an attached 2-4 inch piece of a larger link chain. This allows for more size options than the first, as this type can be adjusted to any length between 18 inches and 22 inches. It is also a more cost effective option than the first since it is easier to make. One con to the extender chain is that if it is not matched well with the regular necklace chain, it can look awkward. It can also be tiresome to adjust to the right length, having to open the clasp and close it on different links if you need to alter it. Another type is the adjustable necklace with slider bead. This necklace is made by attaching a slider bead with silicone at one end and running the other chain end through it. 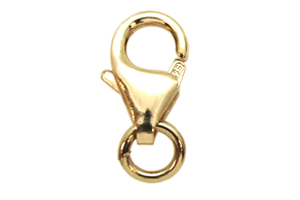 A tag or charm can then be fixed to the chain end to prevent it from sliding out. Adding the tag or charm is not only practical but it allows the necklace to be more fashionable and customizable. Another great perk of the adjustable necklace with slider bead is that any necklace length is possible, from choker to 36 inches. It can be adjusted on the go with just a pull and without fumbling with a clasp. The only major con is that the necklace link has to be small and thin enough to fit into the slider bead’s limited hole size. 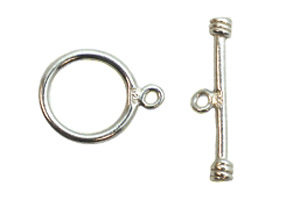 Lastly, there is an adjustable necklace with a two hole sliding bead. Both chain ends can be pulled through the two silicone filled sliding bead holes to alter the length, and anything from pendants to tassels can be added on the chain ends to keep them in place. This popular style, also known as a lariat, allows for more unique design opportunities and again is easy to adjust like the slider bead necklace. The same con of the slider bead necklace can also apply here, the chain link size is limited to the hole sizes of the slider bead. Gold vermeil has been increasing in popularity but interestingly enough, not many people know what this is. Although vermeil might seem like a new trend, this type of metal has existed for centuries. If you are into jewelry that looks like gold, vermeil may interest you. It is an affordable and durable alternative to real gold. Although there are other similar options as well, such as gold-plate and gold-filled. If these three criteria are not met, then the metal becomes gold-filled or gold-plated. You can also find gold vermeil in a variety colors such as rose gold, white gold and so on. To create gold vermeil, the item is first crafted in fine or sterling silver and is then covered in gold using the process known as electrolysis. In the past, vermeil was crafted using the process of fire-gilding, but this was later banned due to the dangers inherent in this process, especially the issue with mercury causing blindness. Electrolysis results in a consistent thickness and quality that is capable of lasting for a very long time. How long does Gold Vermeil last? The durability of your gold vermeil actually depends on the thickness of the gold plating. In other words, gold is the primary factor when determining whether or not the gold vermeil will last. As a general rule of thumb, the thicker the gold plating, the longer the life of the piece. Another factor to consider is the purity of the vermeil. As you may know, the higher the purity of gold, the softer it is and more susceptible to scratches and damage. If you would want gold vermeil that will last for a long time, buying 14 k or 18 k gold vermeil is recommended. Anything higher will be too soft and lower would not have the color of gold you may be after. How does Gold Vermeil differ from Gold-Plated and Gold-Filled? 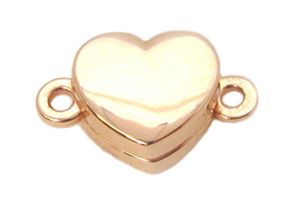 Gold Plated- There is no standard metal or gold thickness when it comes to gold-plate. You can find gold plate in a variety of thicknesses and on a range of varying metals and alloys. With gold-plating, there is the high likelihood of the gold finish wearing out and chipping over time as the gold coating is very thin. Gold-filled jewelry is more valuable than gold-plate. It contains more gold as the gold coating is quite thick. Also, the base metal used for gold-filled items is often a gold alloy. This is hypoallergenic and also does not tarnish. Gold-filled is the next best thing to solid gold. This is why it is costlier than gold-plate or even vermeil. Gold vermeil is similar to gold-plate in terms of affordability and amount of gold used. The main difference between the two is that vermeil has its strict standards and is made entirely of precious metals (both silver and gold are considered precious metals) while gold plate has different levels of gold thickness and is made with any base metal. If the same criteria is met for both, gold plate and gold vermeil can be one and the same! How do you maintain Gold Vermeil? With proper care and maintenance, gold vermeil jewelry can keep sparkling through the years. 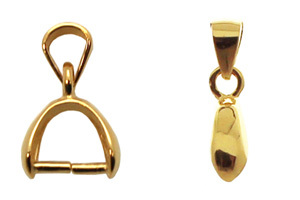 Here are some tips for cleaning and storing your gold vermeil jewelry. When you aren’t wearing your gold vermeil jewelry, store it in a fabric-lined box, or a soft cloth away from dust and dirt. An airtight box is ideal as it can minimize the oxidization of the silver base. Avoid placing your gold vermeil near heat as this can cause discoloration and deformation. Also, don’t place any weight on top of gold vermeil jewelry as this can cause damage. To prevent tarnishing, wipe gold vermeil jewelry after use. The accumulation of body oils, cosmetics and grime can cause the jewelry to lose its sparkle and to fade. 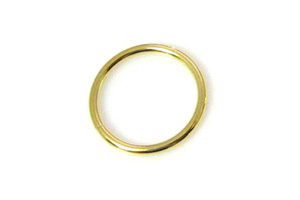 Avoid wiping gold vermeil items with coarse fabrics or chemicals as this can strip the gold off. Only use a 100% cotton or microfiber cloth to very softly wipe the item and warm soapy water. Never use chemicals to clean gold vermeil jewelry. This refers to makeup, washing liquid and even chlorine from swimming pools. 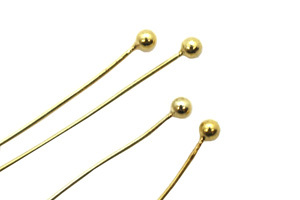 These can discolor the jewelry and strip the gold off. Gold vermeil is the ideal choice if you love the look of gold but affordability gets in your way. It gives you the look without the steep price. The main reasons people choose gold vermeil over the other two is because it is more affordable than gold fill and more valuable than gold plate. Make your decision based on your preferences and what you deem is important. 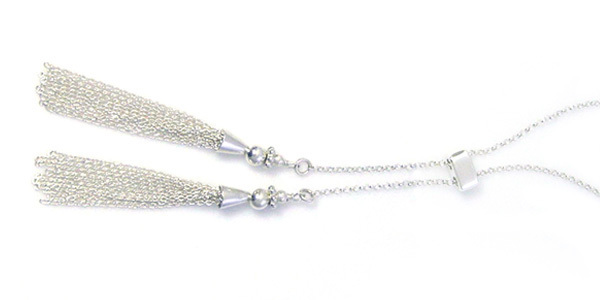 Introducing our NEW Sterling Silver Diamond Cut Bead Chain! 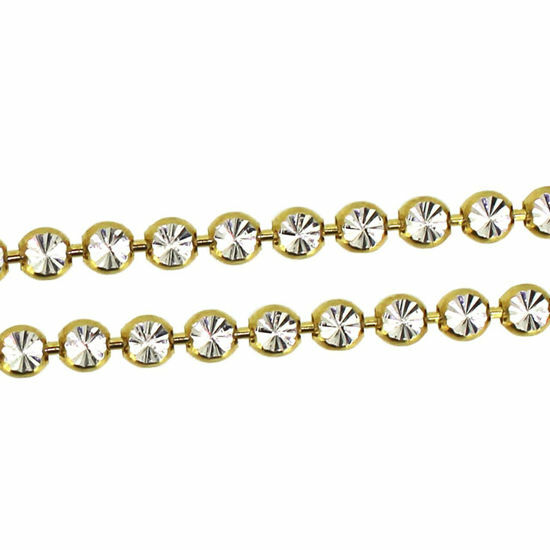 We are so excited to finally be able to put this gorgeous Diamond Cut Bead Chain onto our site. This chain was wildly popular at our trade shows this year and we completely sold out at each one; we didn't even get a chance to list it! We have finally been able to re-stocked for the holiday season and offer this amazingly versatile chain in 4 different finishes. 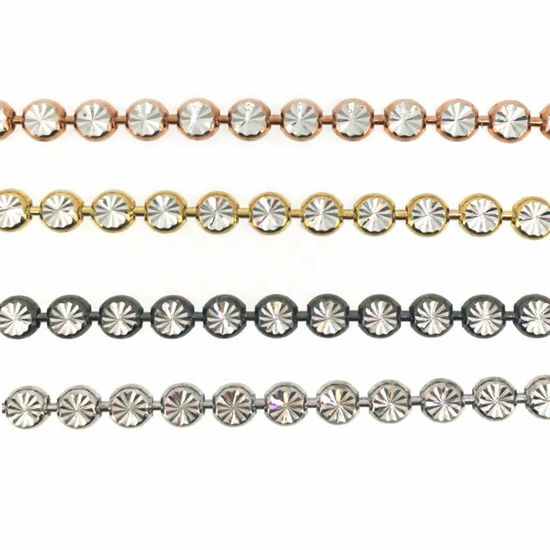 The 4 finishes available for this style chain are: Rose gold, yellow gold, oxidized silver, and rhodium plated silver. This unique chain made in Italy, is a brand new design for 2018-19! Diamond cut on both sides making it very sparkly, unique, and luxurious looking! Each bead on this chain is cut to look like a faceted round diamond. The edges are round a smooth, making it very comfortable to wear. 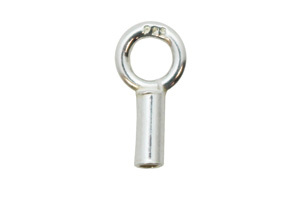 This chain is ideal for bracelet and necklace making. No matter which side this Diamond Cut Bead Chain lays on or rolls to, the bright reflective shine of the facets are there to please! This chain is great for earrings, necklaces, anklets, and of course bracelets. This chain is also great for layering and pairing with other chains. This is the sort of chain you can add to your every wear collection. The simple facets on each bead gives off an amazing glimmer, adding that sense of sophistication to any ensemble. Regardless of the finish you choose, this chain can match with anything and everything. 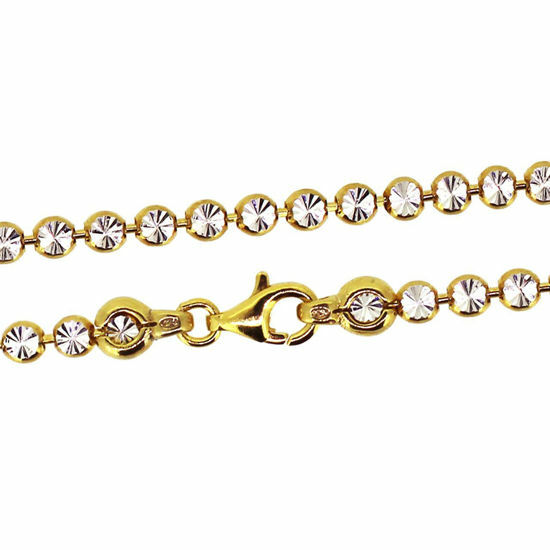 The Diamond Cut Bead Chain is certainly one of the most versatile and BEST SELLING chains we offer at AZ. We offer some of the best wholesale prices in the findings industry with the absolutle GREATEST service you'll find. If you're in need of a reliable findings company, you've found the right one! Edison Pearls are a ground-breaking achievement in the farmed pearl industry. Named after notable inventor Thomas Edison, who once proclaimed “there are two things which couldn’t be made at my laboratory - diamonds and pearls”, siblings Weijian Zhan and Weiyu Zhan, did in fact, create a new species of freshwater pearl. The Edison’s premium features such as high luster, large size, and vivid colors have been favorably compared to the upscale salt-water varieties such as South Sea and Tahitian. But unlike the salt-water pearls, Edison pearls are much more affordable and accessible to the average person thanks to the method in which they are cultivated. After years of research and experimentation by the Zhan family, their company Grace Pearls, and with the assistance of Zhejiang University in east-central China, the Edison pearl made its debut in 2010. This new species of freshwater pearl was created by combining some cultured freshwater pearl and some salt-water pearl farming technology and techniques. The exact pearl making method is not revealed by the creators, but in general, Edison pearls are made by implanting tiny beads into mussels that are specifically selected through genetic research. 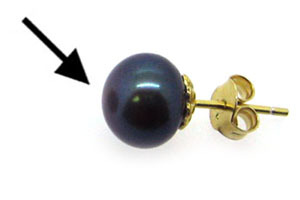 Only one bead is implanted, using a secret implanting technique, into each mussel to ensure one large, round pearl is grown. This is unique as most freshwater mussels produce many small pearls at once. 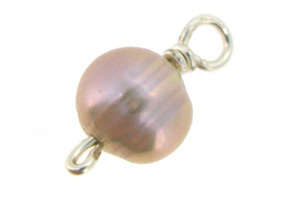 Another unique quality that separates Edison pearls for other freshwater pearls is they can be made in naturally metallic hues and bright colors such as pink, purple, peach, white, gold, and bronze. Thanks to its creators, the Edison pearl has transformed the pearl industry by allowing more people than ever before to own and cherish impressive pearl jewelry pieces. If getting your listing to appear in the first page of Etsy search results was difficult before, it just got a lot harder in 2018. Many ETSY sellers are seeing sales drop in 2018 and wondering what is going on. As always, ETSY search is changing again. Today, we are going to focus on the most significant change – Context Specific Search Ranking (CSR). What exactly is Context Specific Search Ranking? With CSR (Context Specific Search Ranking), buyers will see personalized search results that are the most relevant to them. ETSY is now using AI (Artificial Intelligence) technology to figure out a buyer’s search intention and return the personalized results to them. If a buyer searches for “shoe”, the buyer probably doesn’t want to see a painting of a shoe or supplies to make shoes. Etsy’s AI technology figured the buyer’s search intent is just a pair of shoes to wear and will show the shoes listings only. This improves the buyer’s shopping experiences. You have a popular item for sale on ETSY. When your buyer searches for it, it shows up on the first page. When you search for it with the same keyword, it may show up on the 20th page. Why? It is very unlikely that you will purchase your own item; your item is not relevant to your shopping intent! What does this change mean to sellers? You are now shooting a moving target! AI (Artificial Intelligence) system is a self-learning dynamic system. Just like a human’s brain, it absorbs new information every day, learns from it, and adjusts its behavior accordingly. That means even you can manage to get your listing to the first couple of pages. In a short period of time, it may get knocked out of the first ten pages. Each day, a lot of new information feeds into the AI system. It constantly adjusts how it ranks a particular search according to the new information it learned. You are now shooting a moving target! Keeping reading, we will explain what you can do to manage that moving target. With CSR changes, you are no longer seeing what your buyers see in live search results. This means you lose a valuable tool in measuring your Etsy SEO (Search Engine Optimization) work results! However, there are still a couple of alternative ways you can better assess your search results. Use a different computer, ideally at a different location that you have never used, to sign into your Etsy seller account. I personally rent a VPS (Virtual Private Server) for $20 to $30 a month. I use it to store my files, host my blog and do Etsy search research. This allows me to get a view of the live search results of my buyers. Use Etsy SEO tools like EtsyRank.com to do research on your search performance. What should sellers do in 2018? Keep applying basic Etsy SEO techniques. The most basic Etsy SEO techniques are still valid. Etsy search engine is smart, but don’t just rely on it to decide the search result ranking of your listings. Make sure keywords appear in both title and tags. Use up all 13 tags. Instead of covering redundant keywords, use different keywords. Etsy search is now smart enough to know “shoe” and “shoes” is for the same search intent. You don’t need to waste your valuable tags or title spaces to cover these kinds of unnecessary keywords anymore. Sales rank is now an important factor in ranking search results. To keep your listing on the first page, you need to have constant sales to keep it floating. Once sales drop, the listing starts to sink. For a new product listing, you need to use some ‘launch’ techniques. Offering a deep discount or generating sales from your social media network will boost your listing’s initial sales rank. In combination with a good SEO on the listing, it could put the listing in the first couple of pages within a short period of time. Once it gets there, organic sales will come in and keep the listing floating on the top of other lower sales volume listings. If an old listing cannot be found no matter what you do, consider terminating it and creating a new one to give it a fresh start. Many successful Etsy sellers spend significant amounts of time on social media. A big portion of their sales and traffic are actually coming from their Blog, Facebook, instragram, Pintrest or Youtube channel. Do not solely rely on Etsy search for all your sales. 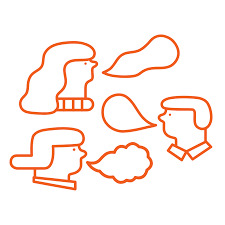 Bring in sales from your personal network, community, and social media channels, but focus on the one or two social media channels that are most suitable to your products and yourself. Your time and energy are limited. Improve your products and services. Eventually, it’s your product that will make the sale. It’s your services that add the value to your product and keep your buyers coming back. Without a good product and services, your sales will not last, even if your listing gets a good amount of traffic. The days of stuffing a couple of keywords in the title and having your listing appear in the first couple pages of Etsy are gone. Remember the old days when you could renew your listings and they would appear in the first page automatically? They are long gone! We cannot easily trick the system anymore and we shouldn’t. Instead, focus on your product, your services, and have a solid marketing strategy. From casual wear to glamorous events, sterling silver jewelry has become a stylish and versatile fashion accessory. However, without proper care, those sterling silver pieces can go from sparkly and shiny to dull and tarnished over time. 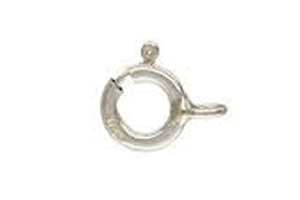 Here are some tips to help you keep your sterling silver jewelry looking like new. The garnet is the first birthstone of the year, a vivid red semi-precious stone linked to people born in January. The word garnet is derived from the Latin word for seed, “granatum”, because the gemstone is reminiscent of a red pomegranate seed. The garnet has a lengthy history, often used as a talisman by tribes going into battle or individuals going on journeys, as a protective power from injury or illness. It is also known as the “Gem of Faith” because of the belief that those who wear it, and do charitable acts, will reap the benefits of their good actions by receiving prosperity, happiness, friendship, peace, and good health. On the other hand, those who wear garnet, and commit evil acts, will have bad fortune bestowed upon them. The amethyst is the birthstone for those born in February and is usually known for having a purple color, though some amethyst stones are more pink, blue, or red depending on the cut of the stone. Amethyst is composed of a type of quartz that is often found in geodes between cooled lava. Quartz is very durable and sturdy, so it is a great gemstone for jewelry making. Not only is amethyst physically strong but it is known to possess qualities that provide the wearer with mental strength and courage. The stone is said to give clarity, calmness, and a sharp wit to those who wear it. Ancient Greeks believed the gemstone protected from drunkenness also, so much so, that the word amethyst comes from the Greek word “amethystos” meaning sober. Those born in March have two birthstones associated with them, Aquamarine and Bloodstone, but Aquamarine is the most familiar. 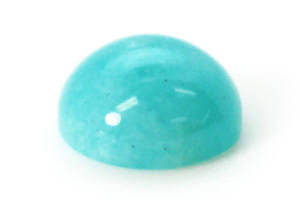 Aquamarine comes in light blue-green hues, though some larger stones may have more concentrated, deeper tones to them. The commonly known light blue-green color is most reminiscent to that of the sea. Actually, the name aquamarine comes from the Latin words aqua and marina, “aqua” meaning water, and “marina” meaning the sea. Considered sacred to Neptune, Roman God of the Sea, Roman sailors believed the stone to be sacred too, guaranteeing them a safe and prosperous journey. Similarly, Greek sailors would carry talisman with Poseidon in his chariot, the Lord of the Sea, etched into the aquamarine gemstone, for protection during ocean voyages. With such strong ties to the sea, it is no wonder that aquamarine evokes the feeling of tranquility and calm, like the ocean waves washing up on a sandy beach. That is why the gemstone is a great meditation aid, thought to heighten awareness and help with communication, with both your inner-self and others. Bloodstone, also known as blood jasper or heliotrope, is the second birthstone for March. It is a dark green stone streaked with vibrant red spots of iron oxide that resembles splattered blood, hence the name bloodstone. Many early cultures prized bloodstone as being magical and healing, believing it to cure people with blood disorders or help wounded warriors on the battlefield. Some also regard the gemstone as a martyr symbol, even giving it religious connotations, saying that the red spots on the stone represent Christ’s blood that fell from the cross onto the jasper stone below. Though each birthstone for March may look strikingly different, they both signify the protection and improvement of the wearer’s health and well-being. Those born in April have the most sought-after and popular gemstone, the diamond. However, due to the diamond’s costly nature, rock crystal or crystal quartz has become a popular alternative, so both are considered April birthstones. The diamond is the hardest mineral on earth, made up of tightly formed carbon crystals; it can only be cut with another diamond. Since diamonds made from the earth are said to be millions to billions of years old, the diamond has become a symbol of everlasting love, thus their use in engagement rings. Their beautiful, colorless, and clear sparkle is also why they are prized gifts to loved ones. They are said to bring happiness to relationships and success at work. They are also said to give the wearer inner strength and peace, protecting them from negative energies. Like diamonds, crystals are said to protect from negative energies too. They are known as healing stones, aiding in both the wearers mental and physical well being. They are thought to increase energy, mood, and boost the immune system. Crystal quartz is quite plentiful, so jewelry designers find it a cost-effective and fun option for their jewelry pieces. The beautiful green of the emerald is what makes it the perfect birthstone for the spring month of May. It is also appropriate because the emerald is a symbol of rebirth, fertility, and new beginnings. It has long been cherished throughout history, admired by historical figures such as Aristotle, Cleopatra, and Catherine the Great. Aristotle claimed that owning an emerald could increase a person’s competence in business and grant legal victories. The emerald also signifies wisdom, some claim it can strengthen memory, even make one clairvoyant. The emerald also has a rich history in various cultures as a symbol of good luck and loyalty. Three birthstones are linked to the month of June, so those born in June get to choose between pearl, moonstone, and alexandrite. The pearl is a unique birthstone for the fact that it is the only one to come from a living creature. A natural pearl is produced when an oyster, mussel, or clam cannot rid itself of an irritant within its shell, so it deposits layers of a fluid coating called nacre over it as a defense mechanism. 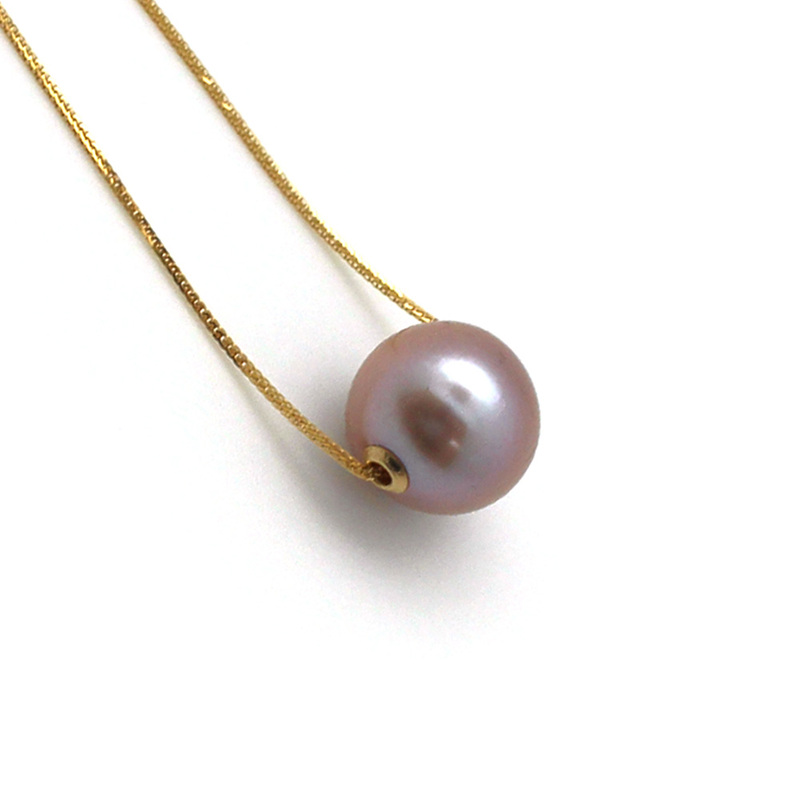 As a result of this layering process, a shiny pearl is formed. Pearls are known to have an iridescent sheen to them and are most known for having a creamy white color. 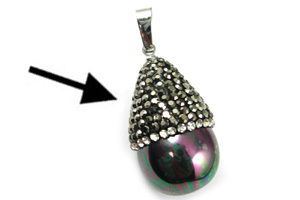 However, there are black pearls that come in shades of purple, blue, silver, and green. Pearls can also be dyed in many colors too. The pearl in many cultures is a symbol of purity, honesty, and innocence which why it is a traditional custom for brides to wear pearls on their wedding day. Due to the rarity of natural pearls, they became extremely popular with nobility and royalty, making them a symbol of wealth. But due to the development of cultured pearl farms, the pearl is now more accessible and affordable than ever for jewelry making. Moonstone complements its fellow June birthstone the pearl because it too has a lustrous gleam to it. Roman natural historian Pliny named it moonstone, noting that the gemstone appeared different with the phases of the moon. When moved, moonstone exhibits the optical phenomenon called adularescence, which emits a bluish or milky iridescence. This is due to the dispersion of light by the microscopic layers of feldspar, a rock-forming mineral, which moonstone is composed of. Because of its enchanting look and name, moonstone is closely tied to the moon in many cultures. It is said to help with insomnia, encourage positive dreams, and protect nighttime travelers. Moonstone is also thought to enhance fertility and breed passion in new or old love. The final birthstone for June is the rare and pricey alexandrite. It was only discovered in 1834 at a Russian emerald mine and was allegedly found on the birthday of the future Russian Czar Alexander II. The gemstone is unique due to the uncommon chemical makeup that gives it a color changing ability. 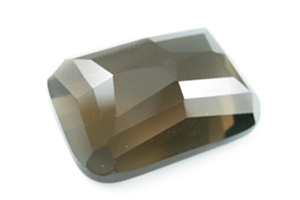 Alexandrite in the daylight is bluish green and under lamp light is purplish red. Those who wear it are said to have heightened instincts and creativity. The ruby, also dubbed the “King of Gems” is the July birthstone. The ruby is from the corundum mineral family, which includes sapphires, but the presence of the element chromium is what makes it red, therefore distinguishing it as a ruby. Chromium is also what causes fluorescence in the ruby, making it seem like the gem is producing a red glow. In earlier times, many thought an internal flame lit the ruby, so it became synonymous with love and passion. The ruby is also thought to bring the wearer protection, courage, vitality, and riches, which is why many warriors would adorn themselves with them during battles. August is another month represented by three birthstones, so those born in August can choose between Peridot, Sardonyx, or Spinel. Peridot is one of the few gemstones found in one color, lime green, but it can be in differing shades with more yellow or olive hints to it. Formed due to volcanic activity, peridot is also known as “the evening emerald” because it retains a beautiful light green glow at all times of the day. Peridot’s green truly stands out when paired with sterling silver findings in jewelry pieces. Many believe this gem helps with depression and brings happiness and peace. It is also said to protect the wearer from nightmares and ward off evil. Sardonyx is made up of two types of chalcedony, orange carnelian and onyx, when they layer together to form a reddish type stone with white stripes. This gemstone is thought to make the wearer more articulate. During the Renaissance it was popular to see public orators wear them, to help them communicate clearly and be more persuasive. Spinal is the last gemstone for August and is often mistaken for rubies or sapphires because it can be found in red, blue, pink, and orange. Spinal is said to bring inspiration to the wearer and re-energize them. Those with September birthdays usually think of their birthstone, the sapphire, in its signature blue color, but sapphires can come in all shades of the rainbow, with the exception of red, which is categorized as ruby. Sapphires were fashionable with royalty and clergymen because they were thought to bring integrity, discipline, loyalty, and sincerity. It is thought the blue color attracted heavenly guidance that would lead one onto a virtuous path. Those with October birthdays are represented by two very distinct birthstones, Opal and Tourmaline. Opals are composed of tiny silica spheres that, when shined with light, produce a kaleidoscope of colors. Because the rainbow of colors can shift and change with the light, the opal was thought to possess the power of whatever gemstone its color was reflecting at the time. This gave the opal the title “Queen of Gems” and made it a precious good luck charm. Tourmaline is another gemstone that is found in a vast array of colors and like opal, can display more than one color at a time. Tourmaline can represent a strong relationship to nature and help protect one from pollutants and toxins. It is also said to protect against negativity and promote charity. The beautiful fall foliage complements the orange and yellow tones of November’s birthstones, Citrine and Topaz. Citrine is named for lemon in French, due to its citrus coloring, which is caused by traces of iron in quartz crystal. Known as the “merchant’s stone”, it is said to attract wealth and help maintain it. It is also known to help comfort, calm, and soothe those who wear it. Topaz can be found in many colors, but the amber tones are more associated with November. Many gemstones were previously thought to be topaz until modern science could correctly categorize them. Topaz is said to help rid people of nightmares and release anger. Many also believe it bring wisdom that will lead to a longer life. Beautiful hues of blue make up December’s many birthstones, making them the perfect winter gemstones. Blue Topaz, Zircon, Turquoise, and Tanzanite were all dubbed December birthstones and are great, affordable gems for jewelry pieces. Blue Topaz can range from a light, almost clear blue to a bright, sky blue. It is part of the Topaz family so many of the topaz influences can be found within it. It is said to help release the mind of stress and negative thoughts, even helping those with “writers block”, creativity, and public speaking. Zircon, the oldest mineral on earth, plays an important part in understating how Earth came to be. Because zircon contains the radioactive element uranium, which changes the stone over time, scientists use it study how Earth was formed. Zircon comes in many colors, but the most prized and used color in jewelry making is blue. It is believed that zircon can raise confidence in the wearer and make them more empathetic. Turquoise is one of the first gemstones to be used in jewelry, used by Ancient Egyptians as early as 3000 BCE. Turquoise is formed in arid areas when rainwater breaks-up copper in the soil and it combines with phosphorus and aluminum. Some turquoise stones have dark webbing to them, which happens when the turquoise is formed on top of rocks. The stone is thought to have protective powers; so many early warriors adorned themselves, their horses, and their weapons with it. It is said that dreaming of turquoise means success and victory. The last December birthstone and most recently discovered one is tanzanite. Named for Tanzania, where it was unearthed, tanzanite can range from a pale blue to a dark blue. Due to it being only found in one small region of the world and it becoming so popular, tanzanite is becoming quite the rare gem. Each birthstone has a rich history and story behind it to match its rich beauty. AZ Findings has a variety of shapes and sizes of birthstones for you to choose from. 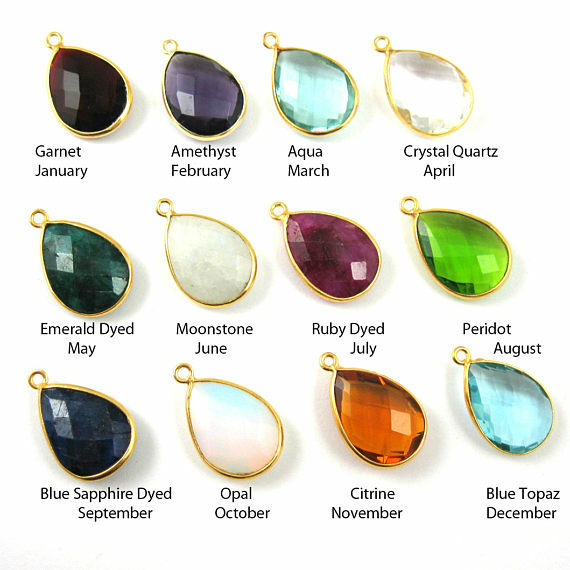 Below is a list of the birthstones we offer. There are a lot of articles talking about how to test silver. 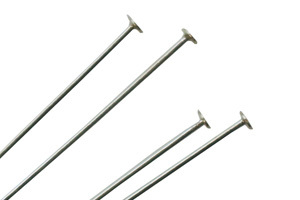 Many techniques are only suitable for silver bars and silver coins. Testing silver jewelry or findings is unique. It is worth another article to cover this specific topic and share our years of experiences in trading and testing silver jewelry and findings with you. 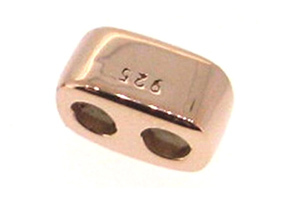 Almost everyone knows to look for a 925 mark on the surface of your jewelry or findings. However, this method becomes tricky when it comes to jewelry chains and findings. Please note “925” mark is not on all authentic sterling silver pieces. For example, jewelry making bulk chains that are sold by the foot do not have the 925 mark. It’s just impossible or too expensive to stamp on every single link of the chain. Some small jewelry findings are not marked 925 as well. 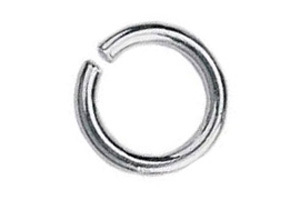 For example, jump rings don’t have 925 marks for the same reason as jewelry footage chain. 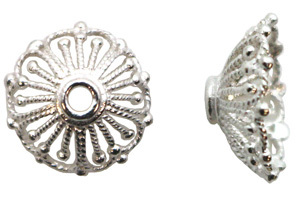 When you place an OEM order with manufacturers for small silver findings, you can choose whether or not to stamp. Having that said, if you bought some silver jewelry findings that have no mark at all, don’t panic. It doesn’t mean it’s not real silver. You may just need to do further testing if you want to find out. Be aware of other marks besides 925. 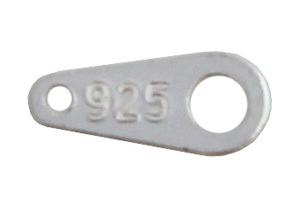 For example, “925 FAS” mark could mean “Fused Alloy Silver”. That is not authentic sterling silver. Some other letter marks may be a brand name for your jewelry, don’t be confused. Ask your seller if you are not sure. Tibetan silver is not 925 silver, it only contains 30% silver. However, do not confuse Tibetan silver with Thai silver. Thai silver is sterling silver or could contain even more than 92.5% silver. “ALPACA” mark is for Alpaca silver or Alpaca Mexico silver. It is not sterling silver either. The same can be said for German silver. This works for most silver jewelry findings. However, it has some limitations that you need to be aware of. Do not use this method for certain findings like clasps. 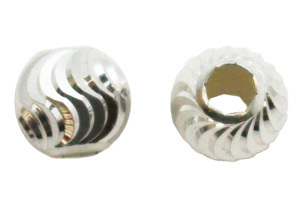 In order to let clasps function, some non-silver parts are needed, like the spring, which cannot be made of pure silver. As a result, many clasps will react to a magnet. Just run magnetic testing on the part that should only contain silver. For example, chain links, jump rings, blanks, etc. Certain rhodium plated findings may have a very weak magnetic reaction. Rhodium does not stick readily to silver. 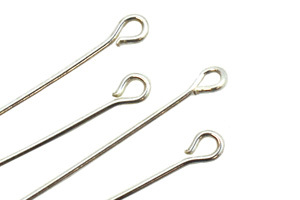 In order to stick them together, a thin layer of other metal will be used. That may cause weak magnetic reaction. Please be aware of this when you test your rhodium plated pieces. Put a droplet of bleach or oxidize solution on silver to test its authenticity. If it turns a dark color, then it is silver. This method works well for silver jewelry or findings without any plating. However, many of today’s silver jewelry pieces have anti-tarnish plating or other kinds of plating on top of silver, so only applying the oxidizing test on the surface may not be enough. Don’t panic though if your silver item cannot be oxidized. Scratch the surface with filling at least half way down, and then do the oxidizing test on the exposed rough silver part. With the surface removed, you can then tell if your piece is solid silver or if it just has silver plating. You can purchase acid testing kits online around $10. It comes with acid solution and a testing stone. Follow the instruction that comes with the kit. Sterling silver should turn into dark red color. Brown is for 80-90% silver. Green is for 65-75%. Same as in oxidize test, make sure remove the surface plating layer when doing the acid test. What tests do not work for jewelry findings? There is mention to many other silver testing methods on the internet. For example, Ice Test, Sliding Test, Ring (sound) test, Density test. They are more suitable for testing bigger and heavier silver objects, such as silver bars and silver coins. They do not normally work well for small jewelry findings. What about sophisticated XRF and Electronic tests? If you have a questionable silver piece that you don’t want to apply any intrusive testing, you can consider an XRF (X-Ray Fluorescence) test or Ultrasonic electronic test. However, as a jewelry trader for many years, I do not normally recommend this test for jewelry findings. Both electronic and XRF test will cost you money and are not 100% reliable when you don’t want to break the silver object apart. Check out this Youtube video (https://www.youtube.com/watch?v=89ATeNy3DIo) and see how a fake silver bar passed XRF test. Please note even the Ultrasonic machine used in that video can be fooled too. Most of the silver findings are not very expensive, it is better off to do an intrusive but cheap oxidize or acid test mentioned above. As an importer and distributor, we routinely test our silver products. 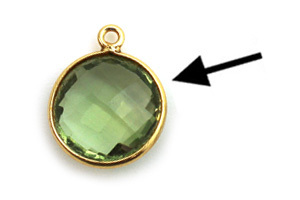 The same test techniques we use can also be used by most jewelry designers, sellers, or buyers. Out of all the testing methods we mentioned above, we recommend the oxidizing and acid tests. Always purchase from companies with a good reputation too. 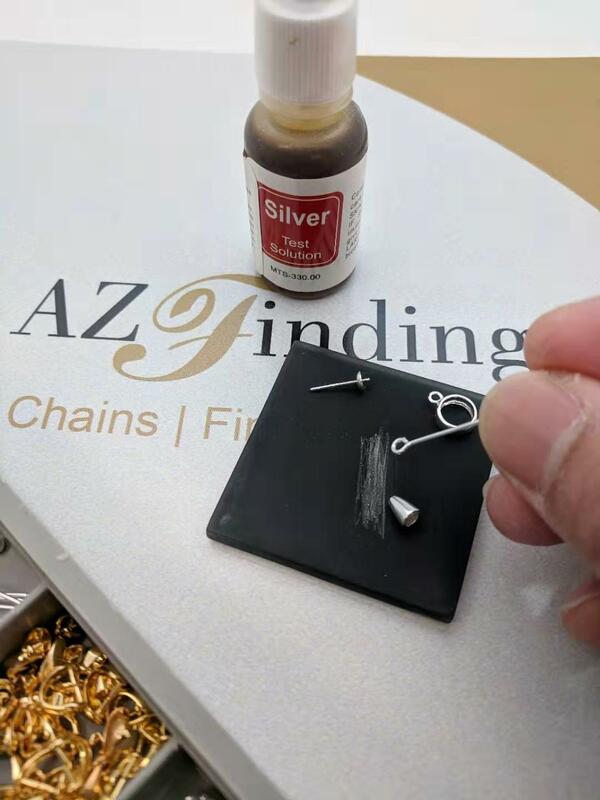 AZ Findings only sources silver jewelry chains and findings from the best manufacturers in the Industry. We only find new manufactures from the best industry trade shows to ensure our product quality and give ourselves, and our customers, a peace of mind. I hope this article is helpful to you. Leave a comment if you have any questions or call us at 1-888-500-1586. AZ Findings is excited to announce it will be at the International Gem & Jewelry Show the weekend of May 18th-20th in Chantilly, Virginia. The International Gem & Jewelry Show is one of the largest and the longest running jewelry shows in America, so it is a great opportunity for our customers to see our products in person. We are offering fliers that are good for a complimentary admission for two, so if you are interested in one, please contact us. We only have so many so it is on a first-come-first-serve basis. More details about the show can be found on its website: www.InterGem.com. We hope to see you there!